Hi all, just a quick post to show you a new bag that I finished. This is the Beaufort Bag which is a pattern by Hugs n Kisses. This bag is part of the Bagalicious Club being run by Quilt Fabric Delights. 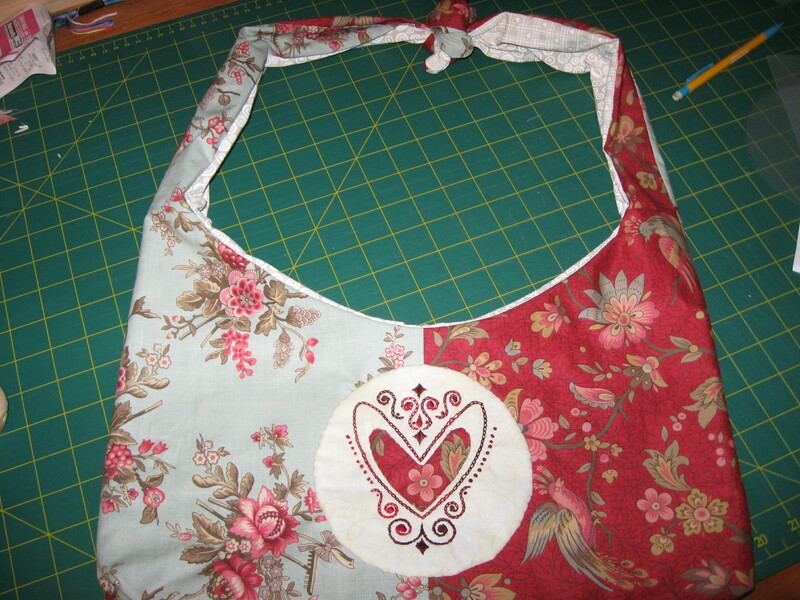 You saw in an earlier post, the embroidery, I then appliqued the heart and then appliqued the circle onto the bag. This is a really simple little bag to make. 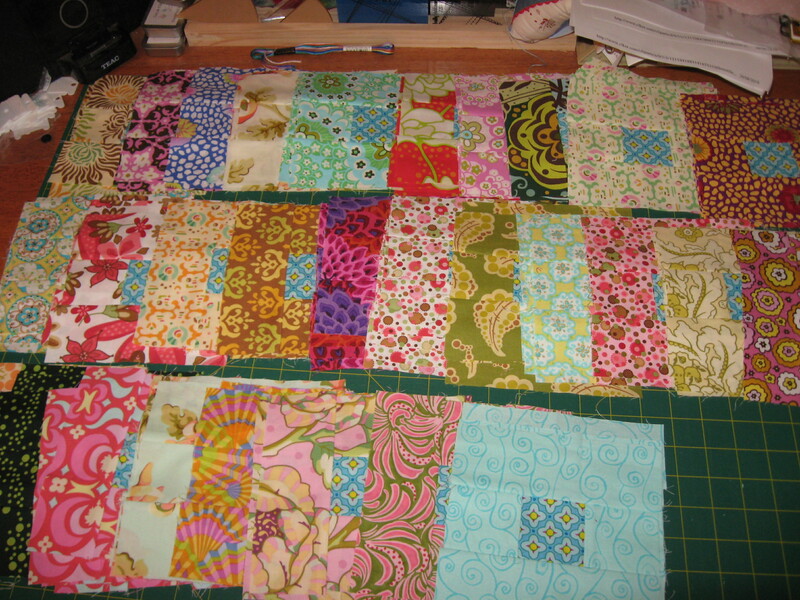 You remember me posting about the Fat Quarterly Quilt Along. Well I finally finished all of the blocks and now just to put them all together. I’m just going to love this quilt when it is put together. It has some of my favourite fabrics in it. The bag turned out really well and I can’t wait to see how that quilt turns out! dito tracey. i really love the fabric in this quilt too. 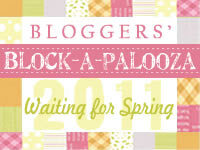 will it have some white sashing between blocks?